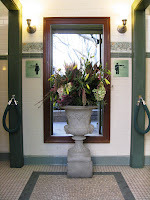 Bryant Park Blog: Vote for Bryant Park's Bathrooms! 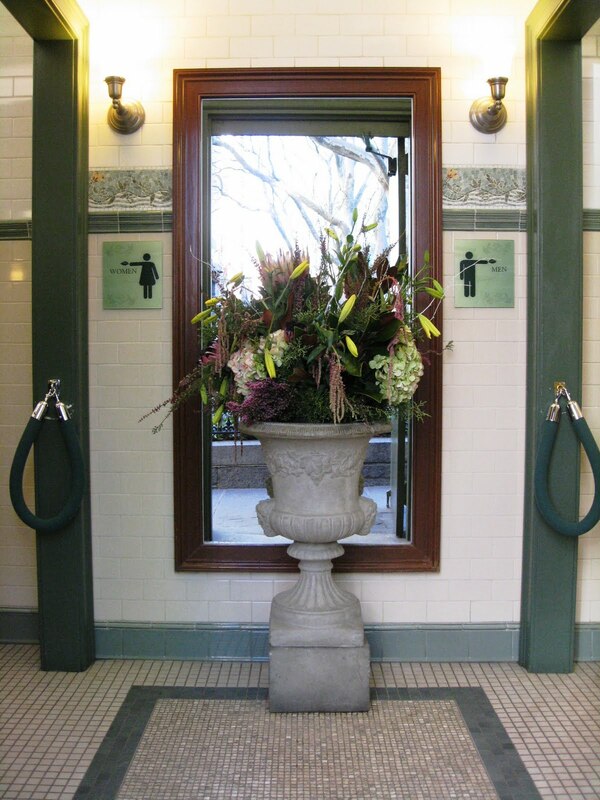 Vote for Bryant Park's Bathrooms! 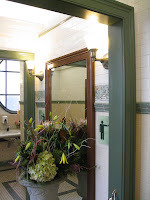 At the beginning of July we learned that our very own public restrooms were nominated for the 2010 America's Best Restroom Award. 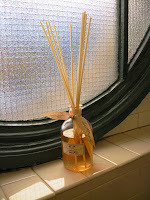 We're up against nine fierce contenders for the win, including the bathrooms at the Santa Monica Pier in California, and another NYC WC at the Muse Hotel. Public votes will determine who takes home the ultimate prize of America's Best Restroom. If our restrooms have made a positive impression on you, whether you're a frequent user or a one time visitor, please click here to vote for Bryant Park as America's number one restroom. In fact, you can vote as many times as you'd like until the contest closes on August 31. "A city park is the last place you would expect to find a beautiful restroom, and they are notoriously difficult to maintain, but Bryant Park is the exception. Considered one of the jewels of Manhattan, this restroom, designed to mimic the Beaux Arts design of the nearby New York Public Library, has a full-time attendant, fresh cut flowers, scented oils and electronic seat covers." "I couldn't believe my eyes nor nose! Really made an impression! Unbelievable place." 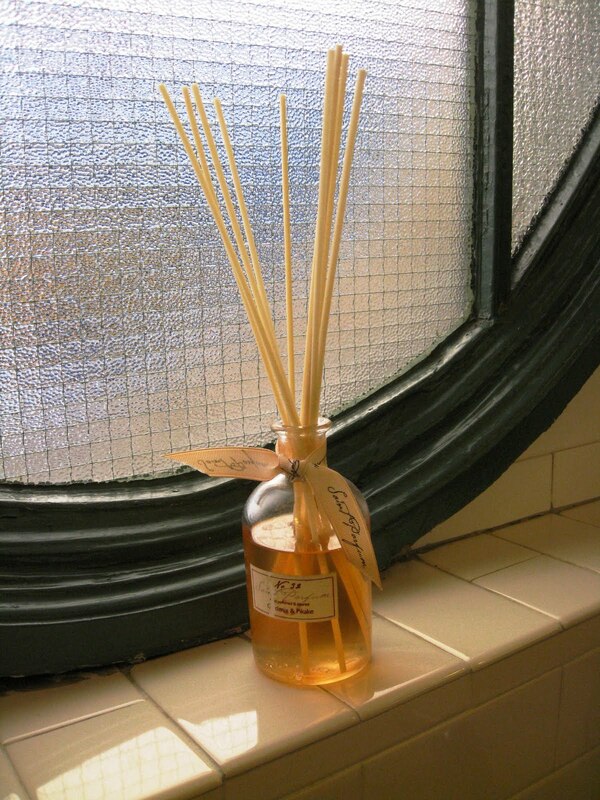 "When visiting NYC these are the place for a 'comfort' break – so fresh, clean & safe." 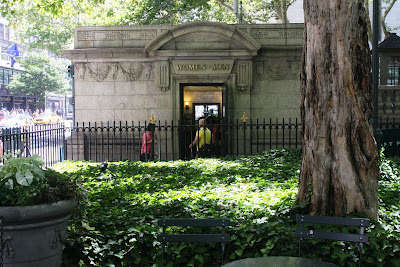 "No doubt Bryant Park has the nicest, cleanest, friendliest public bathroom in NYC. I always make sure to tell the attendant 'Thank you' for their hard work. They make it what it is." If you've never visited the Bryant Park restrooms, located at the 42nd Street side of the park between Fifth and Sixth Avenue, stop by the next time you're in the area to experience the facilities yourself! Now if you're ready to vote, click here and choose Bryant Park as the number one public restroom in America! 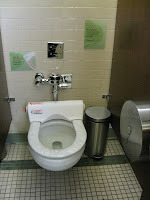 KUDOS to your cleaning staff for how well they maintain your bathrooms!! 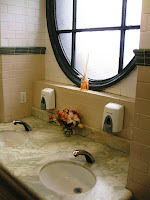 Your bathrooms are, bar none, the best public bathrooms in the City! 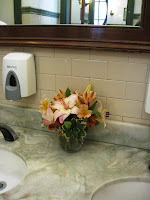 Your pictures are very accurate because that is how the bathroom has looked every time I go in it, irrespective of the time of day or amount of traffic. I hope you win. I know I will definitely vote for you several times. Thank you for your comment (and votes)! You are correct - and I should have emphasized this in the post - a ton of credit goes to our restroom attendants who keep the facilities looking and smelling great at all times. We wouldn't have been nominated without them!